Ballard Acres, Ballard Court, Ballard Point, Bay Colony, Bay Colony Estates, Bay Colony II, Big Bend, Brentwood, Busse Woods, Colonial Ridge, Concord Park, Courtland Square, Coventry Place, Craig Manor, Cumberland, Cumberland Estates, Cumberland Highlands, Cumberland Terrace, Deerview Condominiums, Des Plaines Manor, Des Plaines Terrace, Devonshire, Enderlin Terrace, Golf Greenwood Gardens, Golf Terrace, Golf Towers, Greenwood Gardens, Greenwood Park, High Ridge Knolls, Homerican Villas, Inner Circle, Kingston Estates, Kylemore Greens, Lake Mary Ann Estates, Lake Opeka, Library Courte, Meadowlakes III, Mill Run, Moehling Farm, Northshire, Oak Leaf, Oakton, Oasis Mobile Home Park, Orchard Place, Park Colony, Pleasant Manor, River Oaks, River Pointe, River-Rand Park, Riverview, Riverview at the Landings, Sandlewood Pointe, Shagbark Lake, Silk Stocking, Sunset Gardens, Town & Country, Villas, Waycinden Park, Westfield, Westfield Chase, Westfield Gardens, Windy Point. 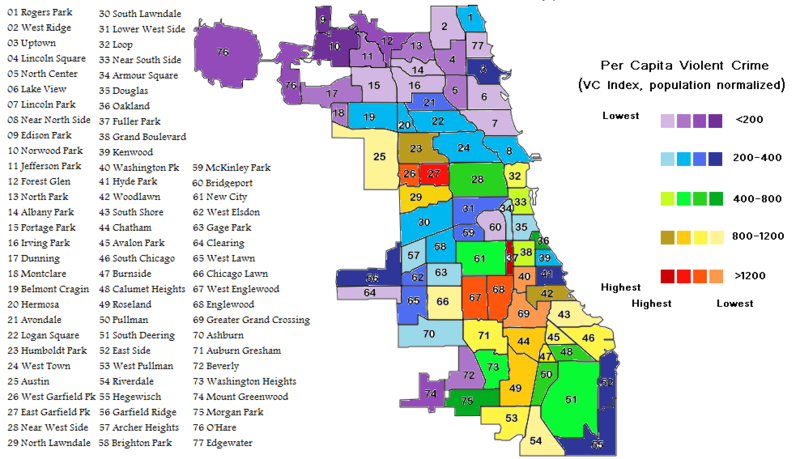 Location Characteristics: Des Plaines is approximately seventeen miles from downtown Chicago. 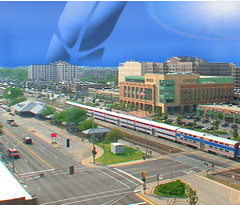 Located in the heart of the northwest suburbs of Chicago, Des Plaines residents are within minutes of all major transportation centers including, Chicago's O'Hare International airport, Metra Commuter Train (which connects commuters to Amtrak), Pace Suburban Bus System, CTA "L" and Interstates 90, 94, and 294. Diversity gives "The City of Destiny" a unique flavor. The city has a population base of 56,945. In addition to an ethnically diverse community, the city is home to several Fortune 500 companies as well as many industrial, commercial, retail and service businesses -- giving residents low property taxes with a wide variety of city services. The city covers 15.85 square miles. The City of Des Plaines operates under the Council-Manager form of government. The Council acts as the City's legislative body, enacting the laws and establishing the policies that govern the city. The Council consists of a part-time Mayor and the Alderman representing each of the eight individual wards. A full-time City Manager oversees the day-to-day operation of the city. Des Plaines has much to offer. The Des Plaines Park District maintains two golf courses, driving range, a water park as well as a full range of programs and activities. The Des Plaines Senior Center offers an array of services and events for local seniors. The city has also begun "The Taste of Des Plaines," an annual event featuring local entertainment and restaurants. Des Plaines is committed to ongoing development within its city, including revitalizing the downtown area. In 2000 the city opened its doors to a brand new state-of-the-art library along with a new retail district signaling the beginning of a renaissance in Des Plaines. Downtown redevelopment and new economic growth offer bright prospects for the future of Des Plaines.